12th – 13th October 2019 (Saturday – Sunday), 10.00. a.m. – 9.00. p.m.
DiasShow is run during the Authors’ Marathon. 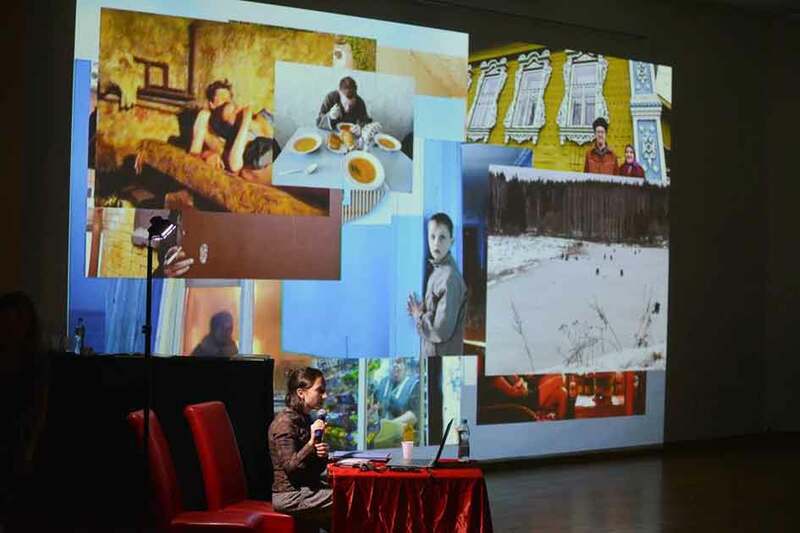 Show your work in a multimedia form during the FotoArtFestival. Deadline: 15th September 2019. Theme free. The purpose of the DiasShow Review is to create a platform for the exchange of experience in the field of photography and to enable photographers to present their work on a wide forum of recipients. DiasShow is a prestigious, inspiring event, giving the opportunity to make new, valuable contacts in the photographic environment and promoting creators of submitted works. From among the Review’s participants, the author (or authors) is selected who will have an organized individual exhibition in the B & B Photography Gallery or a multimedia show. The group of artists who will show their works (in a multimedia form) during the Author’s Marathon 8. FotoArtFestival 2019 will be selected from the persons qualified for individual semi-final reviews. 1. The organiser of the Review is Fundacja Centrum Fotografii with headquarters in Bielsko-Biała. Poland. 2. The review is open to all photographers, without restrictions. Theme of a presentation is free. 3. The subject of the shown photos is optional. 4. Participation in the Review is payable: PLN 50 for the first submitted presentation. In the case of two presentations, the next one is PLN 20. The number of works submitted – up to two. 6. Authors of DiasShow shows, who will be selected for the final show at the Marathon, have a free entry to the Author’s Marathon (meetings with the authors of the main exhibitions). 7. The organizer accepts works in the form of a multimedia show (photos with music and possible text) in any format, any size (ensuring high image and sound quality) and a length not exceeding 3 minutes. In case of sending more than one screening by the same author, the length of the whole (ie all presentations of one author) can not exceed 5 minutes. 8. Each file must be described with the name and surname of the author and the title. 9. Digital files, with the note DiasShow 2019, should be sent to: info@fotoartfestival.com. Larger files should be sent via www.wetransfer.com. 10. Deadline for sending applications: September 15, 2019. Applications should be submitted using the FORM, also available at www.fundacja-centrum-fotografii.org. 11. The final screening of the works will take place on October 12th -13th, 2019 during the FotoArtFestival Author’s Marathon in Bielsko-Biała. 12. The list of people qualified for the show will be announced on the Organiser’s website – www.fundacja-centrum-fotografii.org, without individual notifications. 13. The organiser is not responsible for any damage to the files, preventing their presentation. 14. The organiser reserves the right to reproduce free of charge some of the submitted works for information purposes, in the press and in all types of printing, on television, on the Internet, etc. 15. After the screening, the submitted files are permanently removed from the discs by the Organiser. 16. Persons sending files declare that they have the right to public presentation. 17. Submission of works in Review is tantamount to acceptance of these regulations. 18. The final interpretation of the regulations belongs to the Review Organiser.